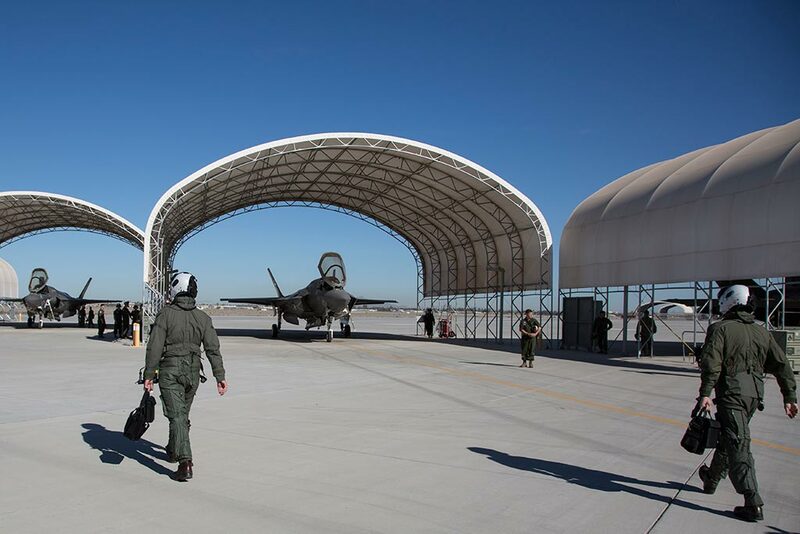 It was like a scene from Top Gun as pilots marched out to the flight line to mount the metal beast known as the F-35B Lightning II. Pilots entered their cockpits, started the engines and prepared for takeoff. As the final tests were completed, the jets taxied out, gained speed and took to the sky as history was made. Marine Fighter Attack Squadron (VMFA) 122, “The Flying Leathernecks,” conducted their first flight operations in the F-35B Lightning II at Marine Corps Air Station Yuma, Arizona, March 29, 2018. This marked the end of the first phase of the transition from a legacy F/A-18C Hornet squadron to an F-35B squadron. 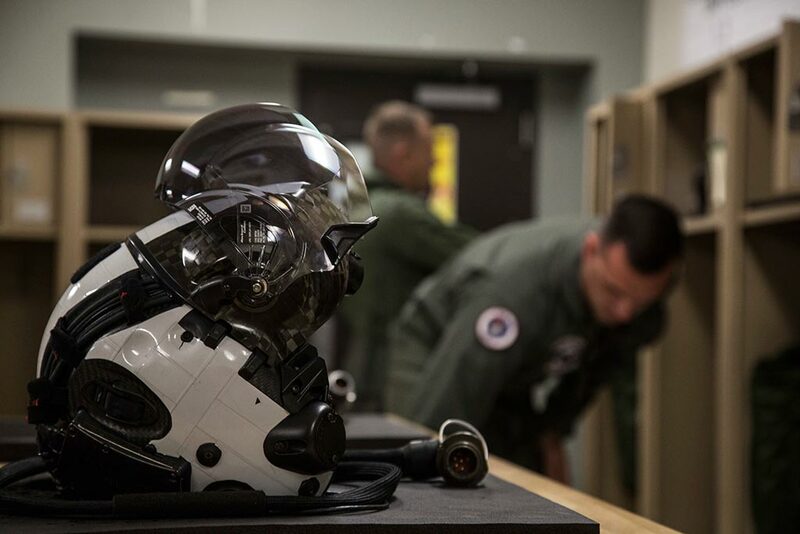 “Starting over, all of our programs have to be rebuilt and reestablished here on MCAS Yuma with a whole new group of people,” said Maj. John Dirk, the executive officer of VMFA-122. “This is the culmination of that first part and going forward we get to maintain and improve them so we can make the squadron have full combat capability”. The commencement of flight operations marked the successful transition of yet another Marine Corps squadron. “It’s validation of all the work we’ve done, and we finally got over that hurdle that was keeping us from finally becoming fully functional,” said Price. Completion is on the horizon for VMFA-122 and the “Flying Leathernecks” are speeding toward it at jet speed.